I’m trying to keep this blog focused on science fiction and romance, but I’ll take a one-bullet-point detour. As you may know from reading my bio, I’m an oboist. I’m busy practicing for a very special concert on December 2, 2012–very special to me, at least, as I’ll be performing a concerto. Check out the Civic Orchestra’s concert information. Awhile back, I posted photos taken by my friend, Pamela Keyes, of the space shuttle Endeavour passing over Tucson on its way to the California Science Museum. 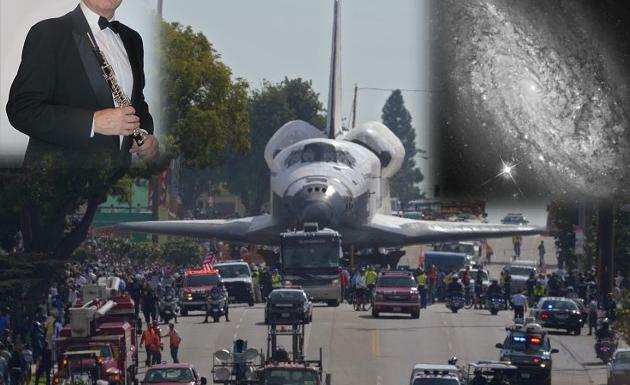 Following up, here’s an article about the final leg of Endeavour’s trip through the streets of LA. I love deep space photos. They’re beautiful, abstract, and thought provoking–at least for a science fiction writer! The HubbleSite has a great collection of articles and pictures, including wallpaper. ← Me, a Harlequin hero?